This Friday, we’re sending a High-Five out to Thomas Surette, from our Barrie, ON, location! Thomas has been with us since the summer of 2017. Thomas shows his dedication and work ethic on a daily basis and his attendance record is perfect! He always shows up early, eager to help in any way he can. Thomas has earned the respect of his peers and works well with all of our crew. Gregory and Thomas were on time, polite, took great care of Dad’s furniture and belongings, and were a delight to work with. Easiest mover ever! 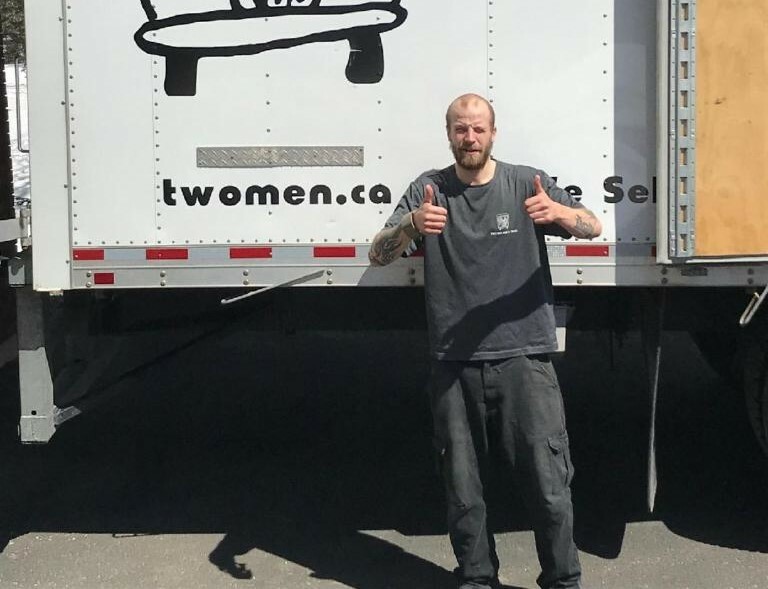 I was very satisfied with TWO MEN AND A TRUCK® Barrie & Central. The movers were very professional and did not cause any damages. Price was also reasonable. I would rate them 10/10. The men were excellent at their duties, careful, attentive, and hard working. Thank you for taking such great care of our customers Thomas! We appreciate the excellent customer service that you’ve provided during each and every move. High five!